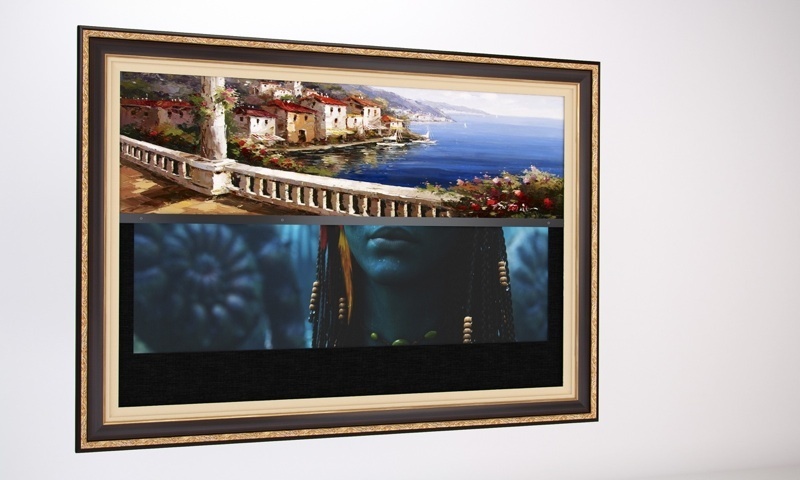 An external speaker bar can be used with a TV art cover. Checkout how we accomplish this. 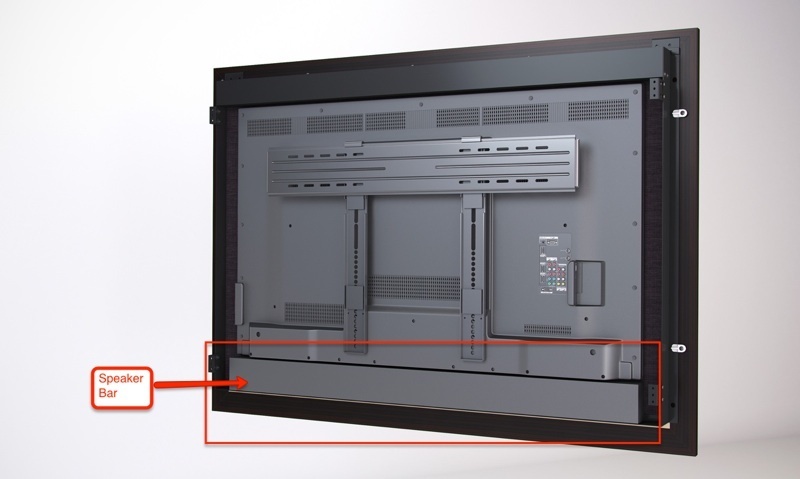 When an external speaker bar is to be used in combination with the TV, you can just mount the speaker bar directly below the TV and flush with the face of the TV. 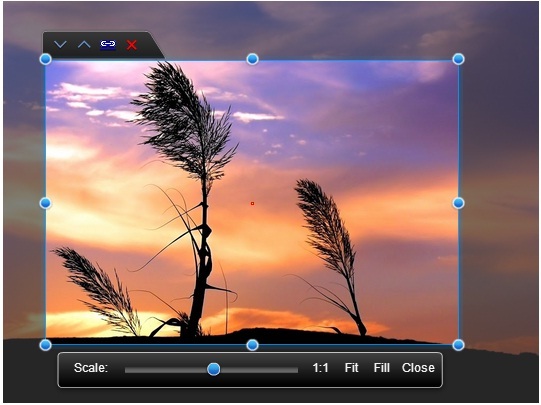 Then provide us with the make and model of the speaker bar being used. 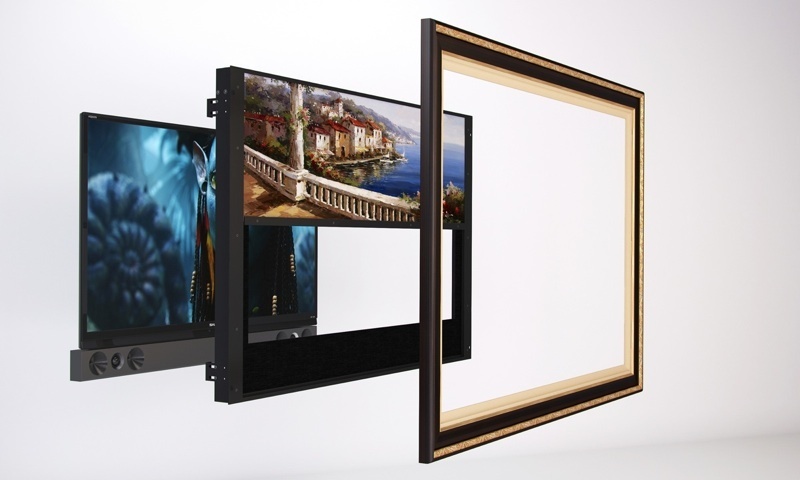 The motorized art subframe and matching decorative frame can then be made taller to accommodate the speaker bar as shown in the following images. Speaker cut-outs will be made in the mat for acoustic transparency. NOTE: There is a $450 surcharge added to all orders requiring the accommodation of a speaker bar. 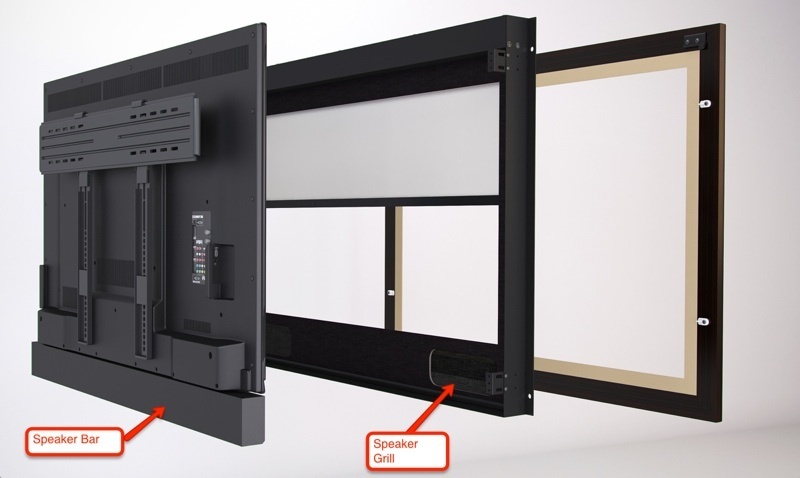 This option for accommodating a speaker bar is ONLY available with a TV Art Cover and would not be compatible with a Framed TV Mirror because the TV mirror glass would block the sound. 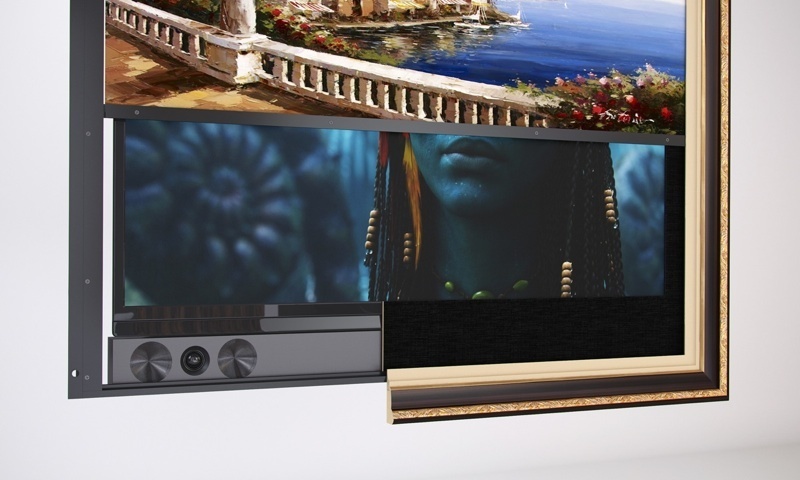 Here's an example install with step by step photos incorporating a combination of a Sonos Playbar and using our Recessed Integrated Mount System.